Blasting forth with their eighth full length and with a history dating back more two decades, Mexico's Ereshkigal need no introduction to the well versed black metal fan. 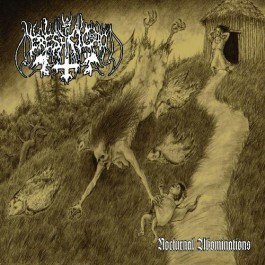 Styled in the classic sounds and topics of the genre, "Nocturnal Abominations" is crafted purely to spread the unholy gospel of cimmerian worship. Ereshkigal, as always, pounds the hammer of the underworld calling the soldiers of darkness. Packaged in a special 6 panel digipack with clear tray.